Important WordPress security updates. Facebook Live introduces Producer. Beaver Builder releases version 2.0. 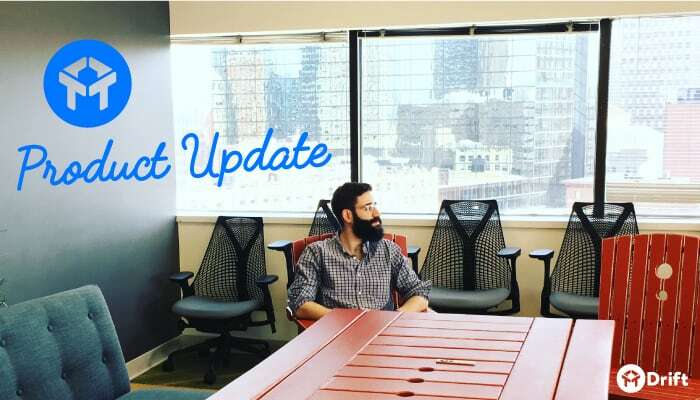 New features in Slack, Process Street, and Buzzstream. 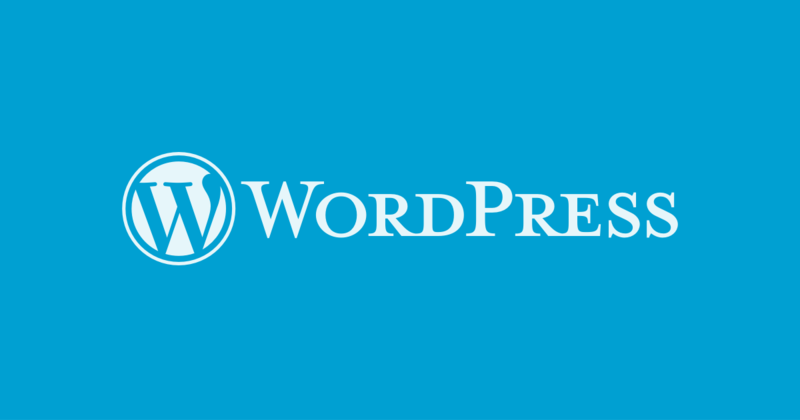 A security issue was found in WordPress that could enable plugins to inadvertently create vulnerabilities. Fixes were made and WordPress version 4.3.8 was released to close the issue. WordPress recommends that everyone upgrade to 4.8.3 as soon as possible. Hopefully your hosting provided does these WordPress updates for you automatically but you should still verify. If your hosting company doesn't automatically update WordPress, you need to be sure you pay attention to these type of security announcements. One good reason to subscribe to This Week in Online Business Tech! Facebook is apparently getting ready to give video producers much more flexibility with their live broadcasts. The company appears to be testing a web-based ‘Live Video Producer' tool that would allow you to control footage from multiple cameras in one stream. Previously, enterprising developers had spotted the tool hidden in Facebook code as far back as September, but it wasn't actually functional yet. Several sources reported on a new tool from Facebook called Facebook Live Producer. It appears to let you create multi-camera live streams with titles and graphics. This is interesting because it is coming from Facebook themselves, not a third party like BeLive.tv. That said, Producer is not widely available yet so it's difficult to directly compare. The big difference between Producer and BeLive vs. something like Wirecast is that the former are browser-based solutions, meaning you don't have to install a separate piece of software. There are pros and cons to this. For Facebook Live Producer, obviously the only place it will let you stream is Facebook Live. With other solutions you can stream to more destinations and multiple destinations at the same time. As soon as this is more widely available and I have a chance to test it out I'll do a deeper review and comparison. In the past everything that a visitor does on your site (usually tracked in an analytics tool) has been completely separate from the actions they take as a subscriber to your email list. ConvertKit (affiliate) significantly revamped their WordPress integration with a new plugin. ConvertKit brought the power of tagging to the masses, tags used to be found only in higher en, Slad email service providers. With this new update, ConvertKit is bringing your tags into WordPress. One of the most interesting features is being able to show specific content inside your WordPress posts and pages based on the tags your visitor has in ConvertKit. This type of personalization is emerging in many areas. I'm using a tool called RightMessage.io that integrates with Drip and provides similar functionality but with much more advanced options as one example. Successful outreach is all about reaching the right people. That’s why we’re proud to introduce the ability to schedule automatic follow-up emails and automatic follow-up email reminders using our new Sequences feature! If you aren't familiar with Buzzstream, it's the leading tool for influencer outreach via email. One of the keys to building your audience is getting your content in front of them. Influencers, or others with large audiences that are similar to your target audience, can help promote your content. Whether they share it on social media, or even better, directly link to it from their platforms which helps your SEO, influencer outreach is a key marketing strategy. What Buzzstream helps you do is implement this strategy in a systematic way. You can build up lists of influencers through their influencer discovery feature or by bringing in your own list of influencers. The new feature here is email sequences. Before this feature, bascially all Buzzstream did was send your emails to your influencer list and track opens and whether there were any replies. With sequences, you can now have triggers and actions so that you can customize the follow up. Often, processes are too delicate to handle in a free-for-all checklist, and you need more control over the order tasks are completed. That’s where stop tasks come in. I am a huge fan of Process Street (affiliate). In fact I just added to more members to my virtual team this week and added them to my Process Street team so we can all use the library of processes and procedures I've created. Prior to this update, anyone with access to run one of your processes or checklists could execute the entire checklist. But what if you wanted to have a mandatory review or approval step in the middle of one of your processes? In my case, I put all of my content creation processes in Process Street. So if I have my virtual assistant format a WordPress post for me, I want to review it before I allow them to publish it and do some subsequent steps. I used to have to do this by creating two separate processes: one for before the review and one for after. Now, with the new stop tasks feature, I can put in a stop task that can only be completed by me, which will stop the process until the review is completed. This article shows 6 different ways to use stop tasks. And now, screen sharing from a Slack call has gone interactive: You can invite others to write, code, design — or whatever working together means to you — all directly from your shared screen. Slack continues to add collaboration features to their tool set. 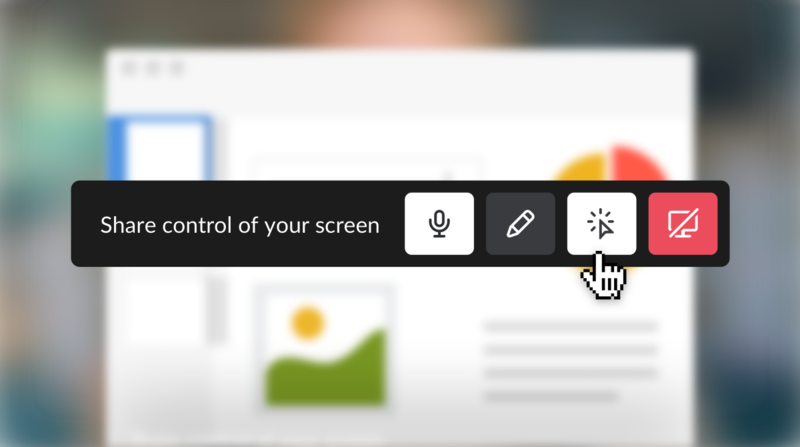 With the new screen sharing feature, Slack goes beyond just allowing one person to share their screen and control, it allows multiple users to type, edit, and scroll the contents of the screen. Obviously multiple people controlling at the same time would not work, but it does let you annotate or draw on the screen for all to see. I use screen sharing all the time in Skype for Business at work so it's great to have this available in your tool of choice for quick demos or collaboration. CoSchedule (affiliate) is another one of the tools I use every day. CoSchedule started as a basic editorial or content calendar and has evolved into a full fledged social media marketing and collaboration platform. Last year CoSchedule introduced a feature called ReQueue which lets you build up a library of social media posts that you can run continuously on a schedule. This is similar to Meet Edgar if you are familiar with that tool. I used Meet Edgar until ReQueue came out. When it did, I moved over to CoSchedule + Requeue. At the time it was a bit expensive but near the same price as Edgar alone but including all of CoSchedule calendaring and scheduling features. With this new Solopreneur plan, that combination is now available for a very attractive price. This month we buckled down and added some enhancements to Drift we’re really excited about. Drift is a conversational marketing and sales platform. Put another way, it gives you on-site messaging and chat functionality. These are the chat bubbles you see on the lower right side of many sites these days. I'm in the process of implementing Drift. Getting it up and running is extremely easy but it also allows chat bot functionality and other automations like sending specific messages to specific visitors based on the pages they are on or their tags or attributes. Drift integrates with Drip, the email service provider I use. Among many updates this month, two that caught my interest are the ability to personalize what drift calls your playbooks or automated messaging sequences. You can now do this within the user interface instead of needing to write scripts. The second new feature is Zapier integration so that you can trigger automations when certain conditions inside of your Drift playbooks are completed. Today we're unveiling shared folders to help teams automate anything, together. Shared folders let teammates access a shared set of Zaps and collaborate to build more powerful workflows. Zapier lets you connect your apps and automate workflows. With hundreds of different integrations, Zapier can be used to automate many different scenarios from marketing to project management to social media. The new shared folders from Zapier lets you share zaps and workflows between users, but only inside of a single business account. 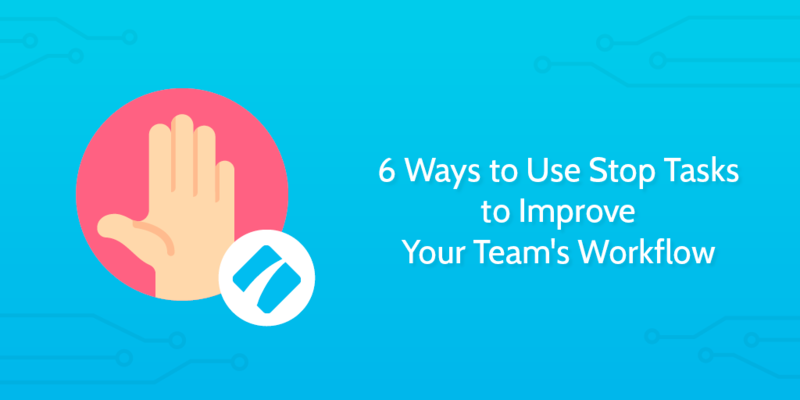 This is helpful for larger teams so they can share automations and expand them over time. I hope they expand this feature to let users in different accounts share or export automations. I'm building a library of hundreds of these as part of my membership site and would love to be able to have my members be able to import them directly from me. As it stands currently, I am documenting them step-by-step and members will need to build them in their own accounts. Far better than starting from scratch, but could be much easier if export/import was enabled across accounts. Beaver Builder 2.0 is live! You can download it from your account page and start using it on your sites today. We'll be releasing 2.0 as an automatic update in the next few weeks. You can try 2.0 right now on our hosted demo. Beaver Builder (affiliate) is one of the leading page builders for WordPress. I discuss these in detail in my Definitive Guide to WordPress for Online Entrepreneurs. They basically let you create advanced designs such as multi-column layouts, galleries, and other structures on your WordPress pages without needing to know any code. It is a drag and drop page builder. With the 2.0 release, Beaver Builder is making huge improvements to the user interface, performance, and workflow. I've been using Beaver Builder on my site for several years and am really looking forward to installing this update. If you are in the market for a page builder (and if you manage your own WordPress site you almost certainly should use one to save time) definitely check out Beaver Builder. Is social media marketing impossible without automation tools? Close to it. There are numerous ways to schedule social media posts. Buffer, Hootsuite, Zapier, IFTTT, and many more. What separates CoSchedule (affiliate) from the rest is the deep WordPress integration and the approach of centering around an editorial or content calendar. This guide goes deep on their tool set and features. The feature I like most is that you can define complex marketing templates that you apply to your content. As an example, whenever I publish a blog post, I have CoSchedule set up to tweet it several times a day for a few days with different images and hashtags, post to my Facebook page, post to my Facebook group, and add several of each of those to the ReQueue feature which is a library of social updates that get reposted on a schedule over time. That alone saves me 15 – 30 minutes every blog post because I just apply that template, change a few things, and the whole campaign is set to run. This is powerful but just scratches the surface of what CoSchedule can do. Facebook remarketing is often seen as a “love it or hate it” tool. AdEspresso is a great product if you run a lot of Facebook ads but they also have a great content marketing team. This ultimate guide to remarketing on Facebook is a must read. If you are not remarketing to your website visitors, you are missing out on a huge amount of potential revenue. Remaketing means following up with people who have visited your site. It is powered by the mythical “Facebook Pixel” which is simply a piece of code that you install on your site that sends data back to Facebook about who has visited your site and the pages they have been to. That data lets you create audiences in Facebook that you can advertise to. Examples include all of your website visitors. Or visitors to your shopping cart but NOT your thank you page, i.e. people who abandoned their cart. If you've ever gotten one of those emails like “we noticed you added our product to your cart but didn't check out, here's a 10% dicsount” that is how it's done. There's a lot more you can do with remarketing and this guide outlines most of it. Enjoy! This week's tech tip relates to your WordPress backups (which I hope you are doing frequently). I recently moved to a different hosting platform, still within LiquidWeb (affiliate) but moving from their managed WordPress offering to Cloud Sites. I had challenges migrating my site so went with a restore from backup using BackupBuddy (affiliate). I hadn't tested a restore in a while (which was me not following my own advice!). It turns out that at some point my backup settings went from backing up everything in my database to backing up just the WordPress related tables. A few of my plugins, in particular my membership plugin MemberMouse create a ton of their own tables. So when I thought I was getting a “full” backup, I was not getting a backup that was able to restore my full site. Luckily, having discovered this, I could fix it. That is my tech tip of the week: make sure your full backup is backing up everything, and do a test restore into a trial hosting account or local install to make sure you can successfully restore. For BackupBuddy, this is found in General Settings, Database Defaults. Select All Tables (including non-WordPress). Doing that got me a full backup that was able to be restored. Score one for BackupBuddy which worked where several other tools did not! This uses Pocket and Gmail but can be modified to use other services if needed. You can post the items to Slack instead of Gmail as one example. That's it for This Week in Online Business tech! Put these tools to work and we'll see you next week!